Hotelstay, The hotel-friendly, simplest B2B platform in India. Hotel - Agent Ecosystem. The hotel-friendly, simplest B2B platform. App needs to be delivered not just to tablets and smartphones, but also as standalone applications to PCs (Laptops / desktops, Windows, Macs, Linux) and as a browser app running on the Web. App for sales and marketing have already proven to improve sales effectiveness and marketing efficiency with revenue driven approach. Creating transparency around the entire process will dramatically improve the likelihood of sustained success and dynamic outreach. Create the right product positioning between target audience and content intent. underscore the growing importance of mobile for online marketing success. HOTELSTAY is essentially a complete rethinking of the user experience for the needs of a mobile user. Instant access to their personalized interface offer a way to increase engagement with mobile users, and turn more of their engagement into actual purchases. Unique functionality to overcome complex workflow requirements that are specific to B2B. B2B buyers have expressed a clear preference for wholesale eCommerce over manual ordering. Placing orders over the phone, through email is outdated - buyers and suppliers, alike, are eager to displace conventional methods by bringing the conversions online. Need a Modern B2B Ecosystem to Get the Most Out of a Reseller Partner Channel ? Hospitality brands have adopted mobile apps to enhance their performance and drive competitive advantage. By providing clients with personalised portals and alerts more dynamically. Hoteliers are moving to enterprise mobility management (EMM) solutions to gain control over ever expanding mobility ecosystem. Trusted business partner experience is the overriding concern as opposed to the data or commodity the enterprise holds. HOTELSTAY - B2B solution is totally tailored to your preferred circle of affiliations. so when they log in, they should be looking at the products they are eligible to buy, with the prices or promotions that apply to them - the hallmarks of B2B selling. 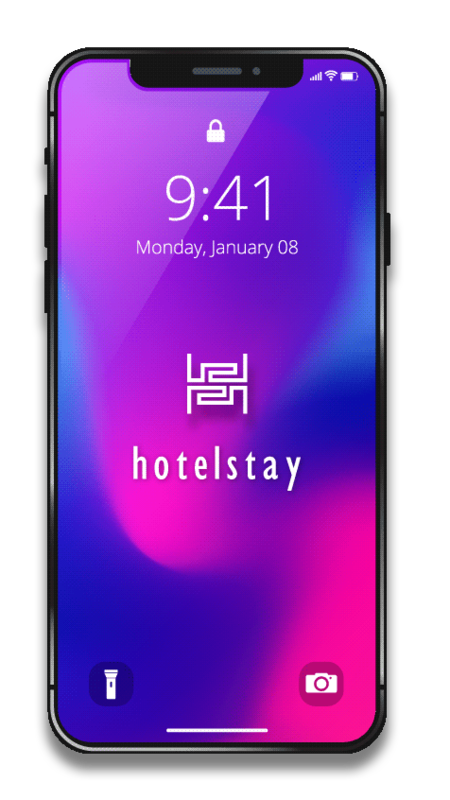 HOTELSTAY provide option to place orders from a mobile device, as buyers are increasingly migrating their web activity to their phones. A native mobile app (one that is downloaded from an app store and can function offline) or a mobile web experience (requiring your customers to simply access portal on a mobile web browser from their phone). The experience is faster, more snappy, and does not rely on having stable internet access to function. HOTELSTAY MOBILE solutions can have big impacts on both cost reduction and B2B order growth, in terms of both frequency and order value. Have this conversation internally to determine your biggest opportunities. Driving mobile app adoption and growth in the enterprise. HOTELSTAY ensures that a mobile workforce is as efficient and productive as possible. HOTELSTAY app facilitate employees working from home, or abroad, or during a commute, but they optimise the process. Travel Agents / Tour Operators trust HOTELSTAY INDIA to help them discover great hotels / resorts. Hotels / Resorts count on us to drive incremental occupancy and accelerate their existing revenue strategies. We channelise all of our focus into making the experience rewarding for everyone collaborate. HOTELSTAY mobile APP will redefine the way B2B hotel business model evolves. This Mobile Platform will help in gaining momentum and improved overall engagement and revenue. If you are Hotelier or Agent, we would be happy to guide you through the APP offering. Let's Collaborate.